The QBrand QBlog: Brands (or brand consultants) behaving badly? Like a promo for Desperate Housewives, the front page lead on the 9 February issue of the advertising industry weekly B&T promises to dish the dirt on the "cheats and deceits" in the world of brands. "Our worst brands" have "deceived" customers, according to the findings of "a new audit exclusively obtained by B&T". Vodafone, NRMA and St George are criticised as the "worst behaved" brands, apparently for having stood for something they then failed to live up to. Is this the pot calling the kettle black? The story promises a lot but delivers very little. Maybe that’s because, as it turns out, there’s "more to come" in next week’s B&T. Or maybe it’s because there’s not much substance or rigour behind the analysis in the first place. The "audit" cited in the article was conducted by the Sydney-based consultancy Brand Behaviour. Karl Treacher, CEO of Brand Behaviour, says "brand deceit" is at the top of the list of bad brand behaviour and "so is Vodafone". Strangely, given the emotive connotations of the word, there’s no clear definition of "deceit". Branding Vodafone a "deceiver" seems a bit risky when there’s no information about the methodology: how many consumers were asked, which consumers, and how confusion and deceit were measured. Many ad agencies and consulting firms have invested massive resources developing proprietary names and definitions for concepts related to branding. Consequently, it’s getting harder to differentiate well-founded, well-researched and well-intentioned concepts that add value and understanding to the discipline from those that owe their origin purely – and often cynically – to commercial motives. Concepts like brand personality, values, image and identity are well supported by scholarship and empirical research. But according to the agencies, brands may also have brand DNA, brand aesthetics, brand sense, brandstretch and brand manners. A brand may even be a "lovemark". And now a "brand deceiver", too. In 2004, Professor Mark Ritson – now at the Melbourne Business School – noted this "confusing cornucopia of conceptualization" and warned that "the brand of brand is in crisis". Interestingly, also back in 2004, Karl Treacher wrote an "exclusive" article for B&T in which he told of having "investigated the relationship between marketing promises and internal fulfillment (sic)" at Vodafone (reproduced here). "Our findings were nothing short of extraordinary," he wrote. 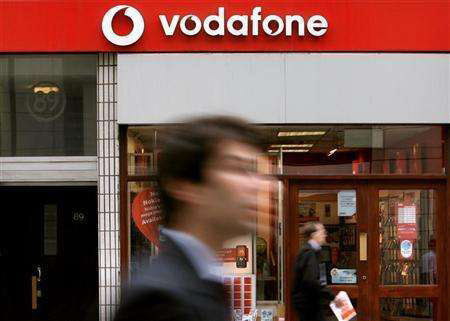 The Vodafone brand "grew in a place where no telco has ever been before, in our hearts". Given his earlier state of rapture, perhaps Treacher’s current perspective on Vodafone should be viewed as that of a jilted lover dissing his "ex"! Hi Stephen and thank you for taking an interest in our 2006 audit. Important to clarify a few things for you mate, and feel free to contact me on 0421 499 215 to discuss any of this personally as by the looks of things you need more information. Probably only fair (and more valuable to your reader)to get insight before posting speculative judgement. 1. B&T wrote the story after recieving our report. We didn't at all plan on featuring the 'worst'. 2. Our methodology was sound. A 9 month study - man on the street Qual. 7 stores, 10 people / store. We only use psychologists to conduct our research and are really only interested in auditing the brand experience. - How well a brand delivers on its stated brand promise. Very simple. 3. Vodaphone was the obvious loser in telcos for the very reason you stated...They did a fabulous job in 2004 creating an expectation and then broke most of their promises. We knew this well as we researched them in 2004. We don't care either way, it is an audit. It just is as it is. 4. Brand Behaviour is only ever interested in improving the human experience, and this means improving the things that humans come in contact with. The things that we value - brands. In conclusion Stephen, I am glad you got excited about our audit, we did also. I have written these comments to help publically clarify your points. If you have any further comment, please have the integrity to call me directly. If you then want to share our discussion via your blog, feel free.